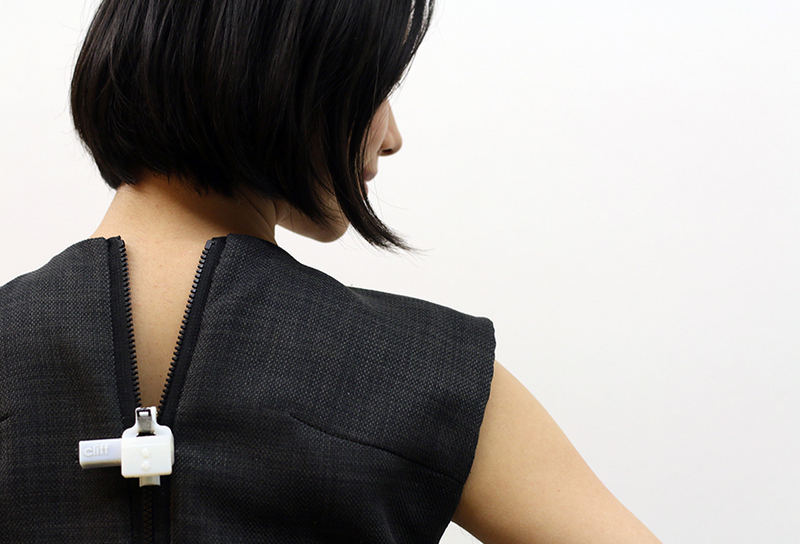 Cliff is an automatized zipper developed for people who struggle to perform the zipping and unzipping task manually. Cliff uses two gear sprockets to provide traction on both sides of the tape, allowing the user to zip and unzip a garment with no hands. 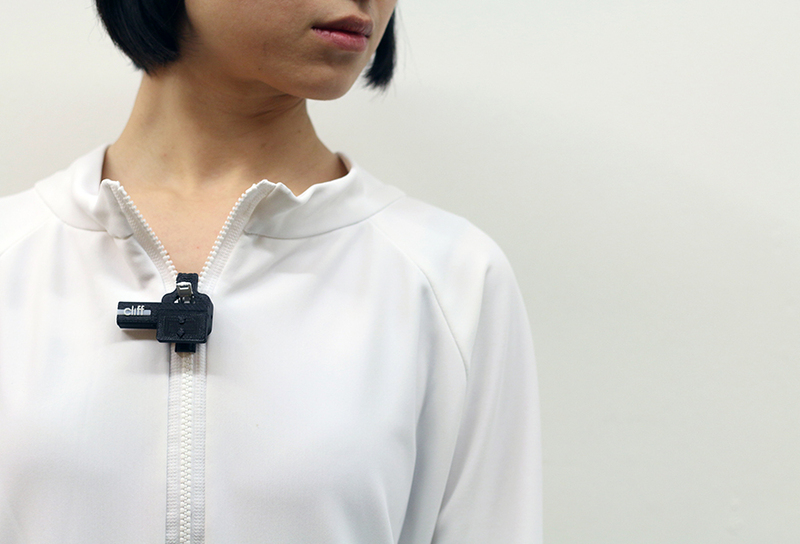 It was designed for the elderly as well as those suffering Parkinson's disease, but has the potential to offer relief to millions of women who struggle needlessly with garments that have zippers on the back. Mohamad Zairi Baharom received his Bachelor in Mechanical Engineering (Industry) from Universiti Teknologi Malaysia (UTM), Malaysia in 2007. He then obtained his M.Sc in Mechanical Engineering in 2013 from Universiti Kebangsaan Malaysia (UKM), Malaysia. He joined Universiti Malaysia Pahang, Malaysia as lecturer at the Faculty of Mechanical Engineering. He is currently pursuing his Ph.D. at the Department of Industrial Design, Eindhoven University of Technology (TU/e), Netherlands. He is a member of the Board of Engineers Malaysia (BEM) and Science and Engineering Institute (SCIEI). His research interests are industrial design and wearables.